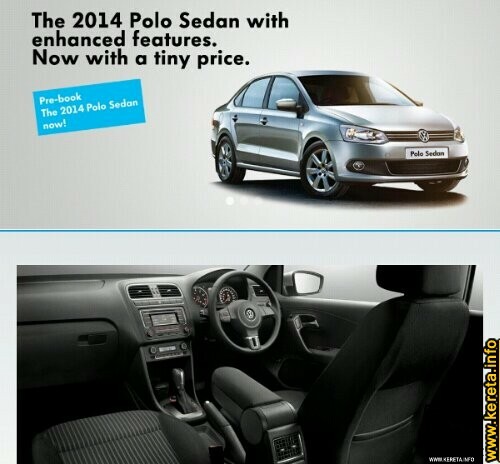 Volkswagen Polo Sedan 2014 is now open for booking. The new Polo Sedan will be a vailable with more enhanced features with better lower price estimated at RM87K without insurance and road tax. The compact sedan offers better value and will be the cheapest continental ride in Malaysia. head to an authorized Volkswagen showroom to pre-book one now! Volkswagen Polo Sedan. German Powered. Know the Polo Sedan inside out.